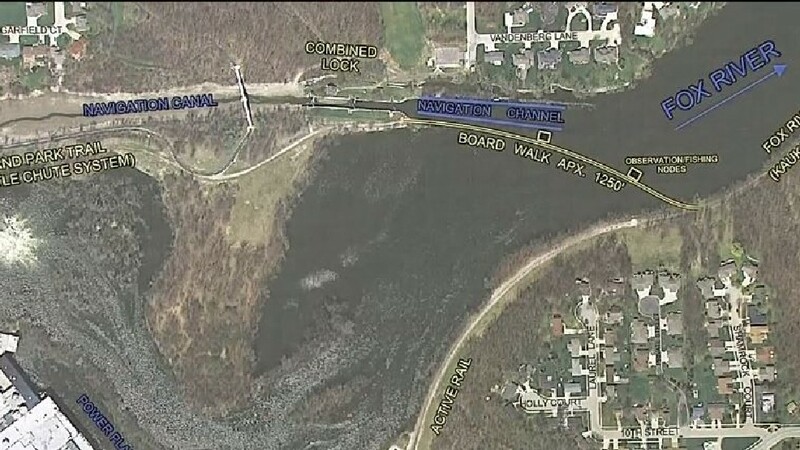 LITTLE CHUTE — The city of Kaukauna and village of Little Chute will hold a joint public information meeting to discuss conceptual design ideas for a new multi-modal boardwalk bridge across the Fox River. The meeting will be held on Tuesday, Oct. 25, 2016 from 5 p.m. to 6:30 p.m. at the Little Chute Village Hall, Board Room, 108 West Main St., Little Chute, according to a Little Chute news release. Park Trail in the Little Chute trail system. The purpose of this meeting is to inform the public of the proposed project and seek their input into its design features. The project involves constructing a multi-modal boardwalk over the Fox River from Kaukauna to Little Chute. discuss the proposed project and familiarize interested parties with the project concepts. The public is encouraged to attend the meeting, provide input and ask questions concerning this project. Skalecki at 920 / 592 9440. Written comments regarding the project can be mailed to Patrick Skalecki, GRAEF, 1150 Springhurst Drive, Suite 201, Green Bay, WI 54304-5947 or emailed to patrick.skalecki@graef-usa.com .